Brass screens for pipe smokers. Prevents tobacco disappearing into the pipe head. 5 screens per pack. Diameter: 20 mm. Any experienced pipe smoker can tell you: a brass screen in your pipe is an absolute must. No matter how you put your tobacco in your pipe, some of it will otherwise disappear into the head, which means wasting your tobacco and eventually having to clean your pipe head, which is a messy and difficult chore. Please note the brand can vary due to high demand. 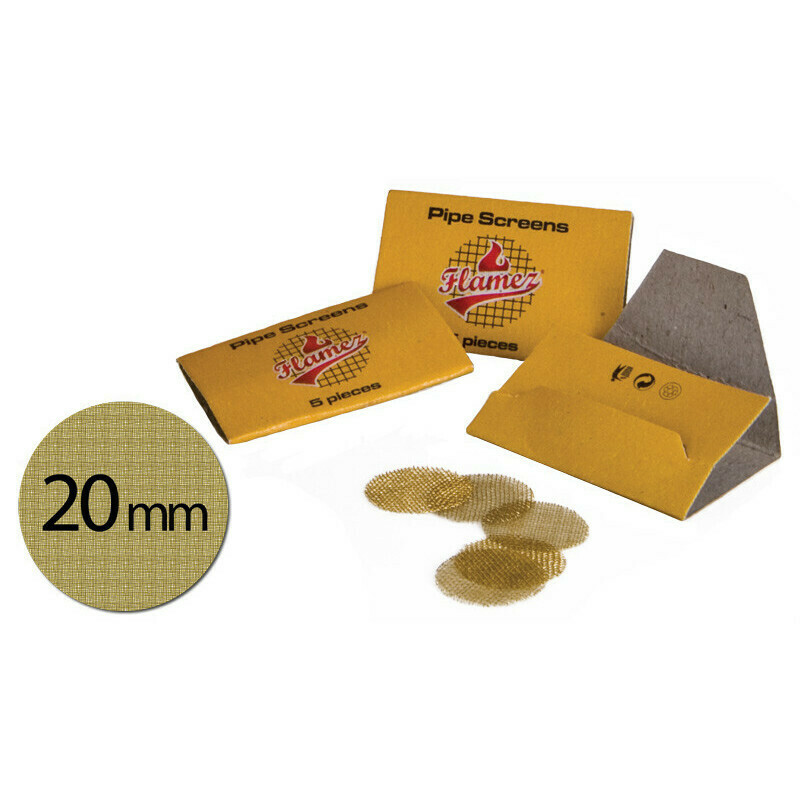 Flamez now offers these useful brass pipe screens, in ideal packages of 5 pieces. You'll be able to smoke without losing your tobacco. Flamez is a fresh young brand that started producing high quality smoking accessories against competitive prices in 2005. Flamez has since then become one of the quickest growing brands on the smoking market. The assortissement now offers vaporizers, pipe accessories, rolling papers and filter tips of the highest possible quality, innovative grinders and even its own line of T-shirts. So buy your pipe accessories today in our online headshop at Grasscompany.com! Notice: Do you own a retail business or are you a wholesaler interested in this product? Be sure to check out our wholesale website TGC Trading.com for interesting offers!